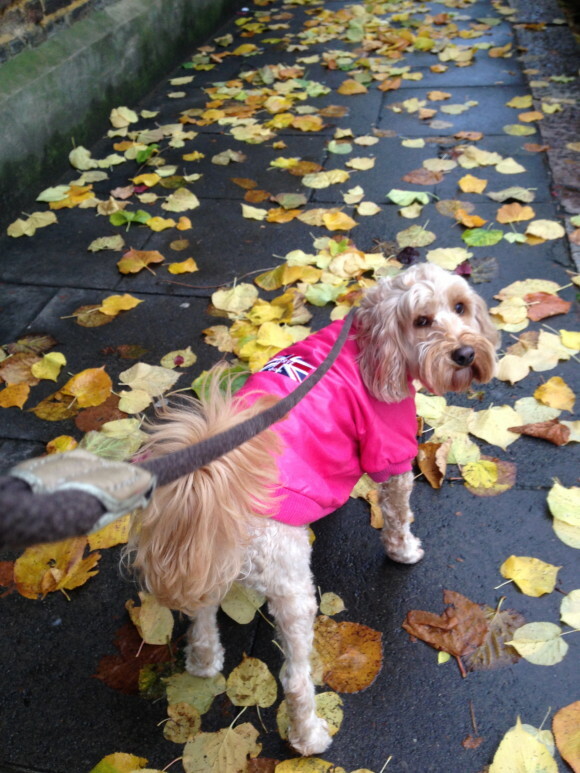 On a dark and rainy morning … I am a spot of bright pink! May’s comment: A little unconventional. 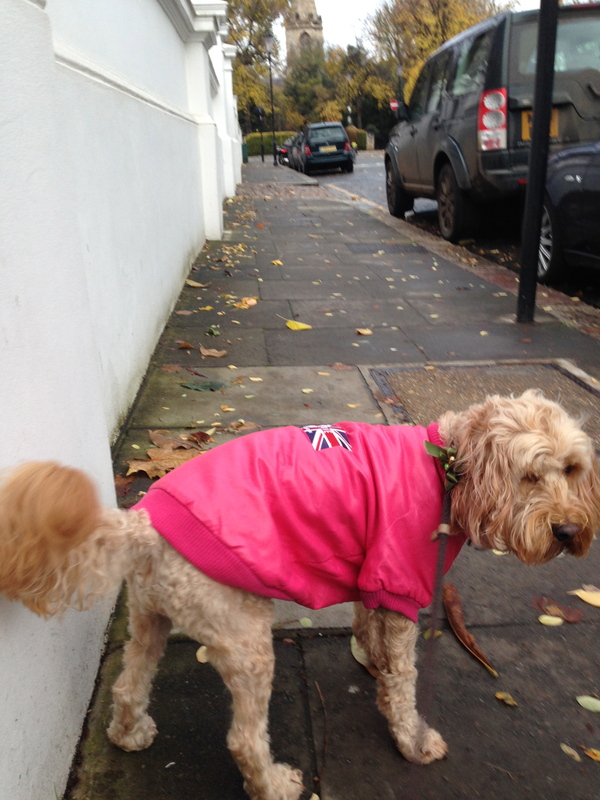 A bright pink pleather fleece lined bomber jacket – definitely for a girl! And a Union Jack to make it a bit rock chick looking! 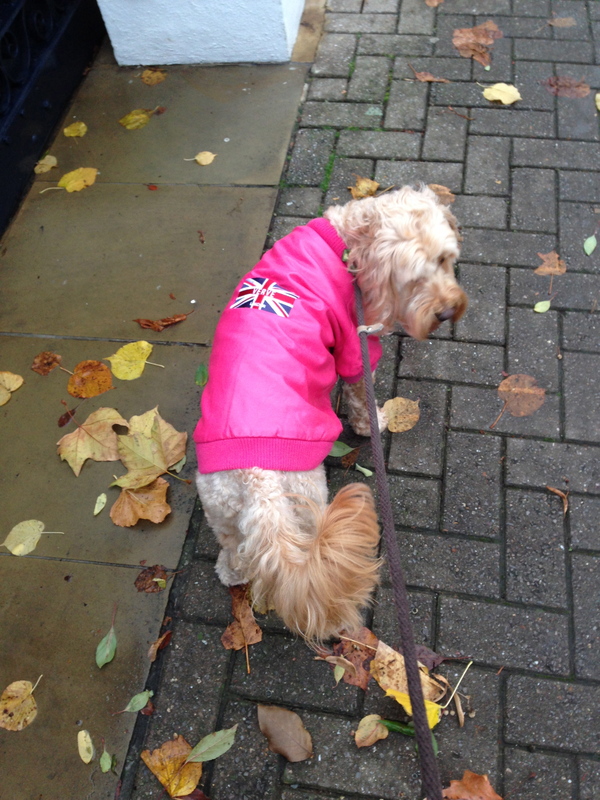 It turned out to be one of Darcy’s best jackets. It’s warm, it keeps her dry, it’s got arms and her belly is covered! Bought it at Verve Pets London.